Blubrry takes it to 3.0! PowerPress 3.0 is out, ladies and gents, and itâ€™s already slamminâ€™ the competition. Oh, wait, there is no competition. As always, Blubrry PowerPress brings the essential features for media creation to WordPress. PowerPress offers HTML5 audio/video player with flash fallback and multi-channel/multi-category podcasting support. *Meta Marks a new feature thatâ€™s so fantastic that your going to want to learn more! 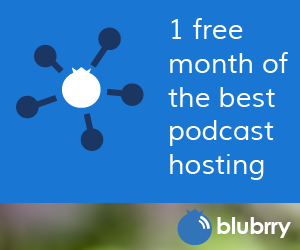 *Podcast channels tied to custom post types. *Six languages includes Chinese, Danish, English, French, Italian and Romanian. *Optimized for WordPress 3.3+ (WordPress 3.0 is now the minimum required). So, whatcha waiting for? Go to Blubrry.com/powerpress and get even more of what you want, need and expect from exceptional offerings at Blubrry. Todd and team, congrats on another exceptional, class-leading release. I’m intrigued to go explore the channels being tied to custom post types – this sounds like it could be really useful for us producers. I’m delighted we’re now able to customise the HTML player icons – one thing that bugged me about the last PowerPress release. Congrats again – you rock!